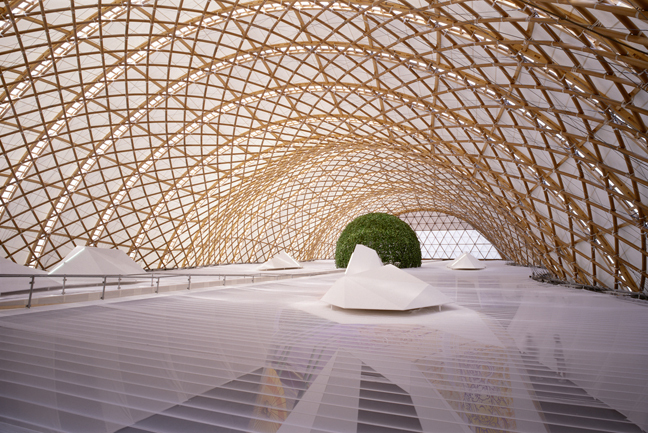 Shigeru Ban, a Tokyo-born, 56-year-old architect with offices in Tokyo, Paris and New York, is rare in the field of architecture. He designs elegant, innovative work for private clients, and uses the same inventive and resourceful design approach for his extensive humanitarian efforts. For twenty years Ban has traveled to sites of natural and man-made disasters around the world, to work with local citizens, volunteers and students, to design and construct simple, dignified, low-cost, recyclable shelters and community buildings for the disaster victims. Ban’s humanitarian work began in response to the 1994 conflict in Rwanda, which threw millions of people into tragic living conditions. Ban proposed paper-tube shelters to the United Nations High Commissioner for Refugees and they hired him as a consultant. After the 1995 earthquake in Kobe, Japan, he again donated his time and talent. There, Ban developed the “Paper Log House,” for Vietnamese refugees in the area, with donated beer crates filled with sandbags for the foundation, he lined up the paper cardboard tubes vertically, to create the walls of the houses. 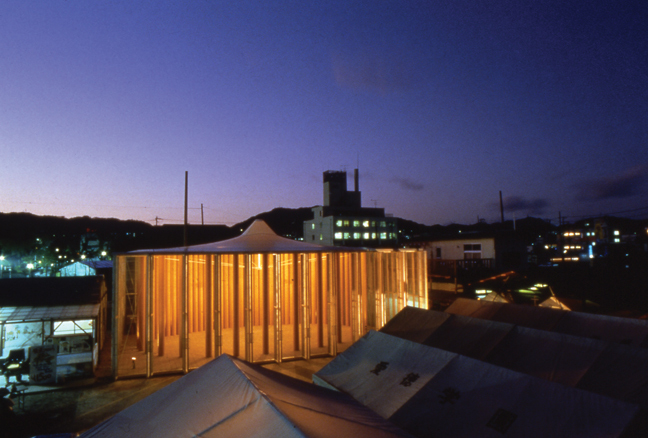 Ban also designed “Paper Church,” as a community center of paper tubes for the victims of Kobe. It was later disassembled and sent to Taiwan, and reconstructed there, in 2008. 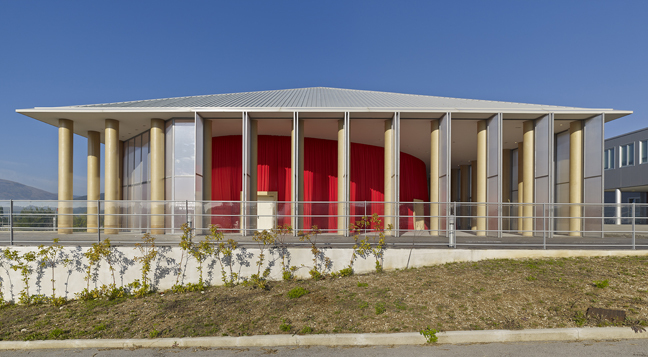 To construct his disaster relief shelters, Ban often employs recyclable cardboard paper tubes for columns, walls and beams, as they are locally available; inexpensive; easy to transport, mount and dismantle; and they can be water- and fire-proofed, and recycled. He says that his Japanese upbringing helps account for his wish to waste no materials. 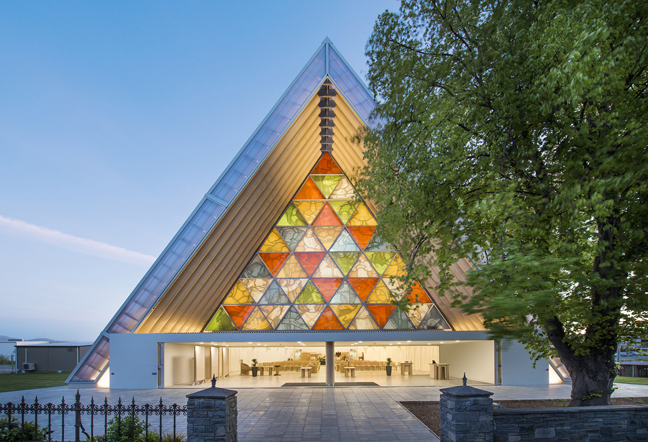 As a boy, Shigeru Ban observed traditional Japanese carpenters working at his parents’ house and to him their tools, the construction, and the smells of wood were magic. He would save cast aside pieces of wood and build small models with them. He wanted to become a carpenter. But at age eleven, his teacher asked the class to design a simple house and Ban’s was displayed in the school as the best. Since then, to be an architect was his dream.